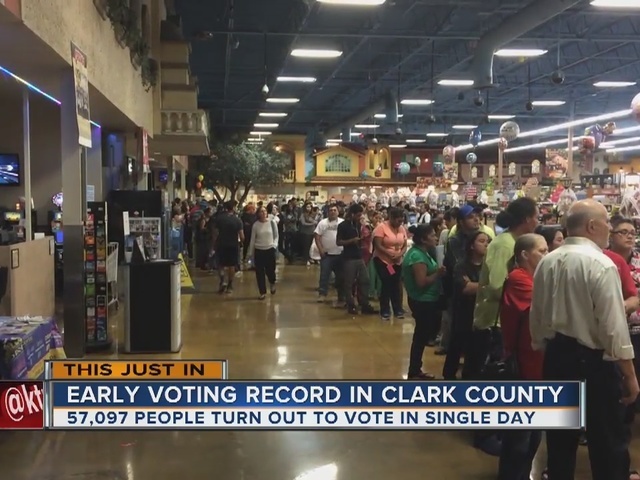 At least 57,000 people voted on the final day of early voting in Nevada. Friday was the last day of early voting in Nevada for the 2016 election. It is typically the busiest day of early voting with long lines at various sites around the valley. More than 57,000 people had voted in Clark County Friday as of 10 p.m., breaking a record for single-day early voting. Some people came out to beat the lines they are expecting on Tuesday and others simply wanted to get voting over with. 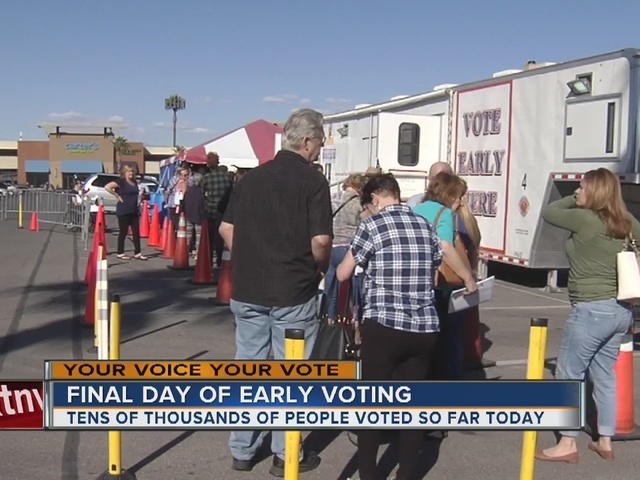 Several polling places in Clark County were open until 9 p.m.
Cardenas Market, located near Bonanza Road and Lamb Boulevard, was staying open until 10 p.m. It took voters around two hours to make it through the line. At one location near Eastern Avenue and Silverado Ranch Boulevard, a woman dropped off bottled water for everyone waiting in a hours-long line.